A comprehensive formula of 24 nutrients scientifically developed to support an active lifestyle and proactively address the key health concerns amongst Australians over 50, such as healthy cardiovascular and cognitive function, and healthy vision, bones and joints. The ageing process results in numerous changes, including changes in body weight and skeletal muscle mass, increases in free radical damage and an increased requirement for a number of nutrients. CoQ10 is a naturally occurring antioxidant that plays a crucial role in cellular energy production in all cells. 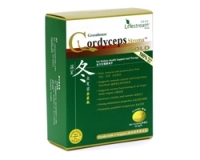 CoQ10 is concentrated in organs with high metabolic activity such as the heart. The body’s ability to synthesise CoQ10 declines with age. Lutein is a carotenoid that makes up the “macular pigment” in the eye lens and macular region of the retina. Numerous clinical studies indicate this compound may play a protective role in the eye and help maintain visual acuity and healthy vision. Vitamin A is essential for vision and healthy skin. The B group vitamins play an essential role in the metabolic processes of all living cells by serving as coenzymes in the metabolism of carbohydrates, proteins and fats to produce energy. 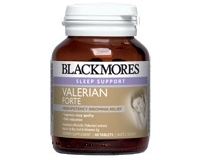 General B vitamin deficiency may result in fatigue and weakness. They also play a role normal function and maintenance of the nervous system. Studies on supplementation in the elderly suggest that adequate B vitamin intake, especially in those with vitamin deficiencies, is important for maintaining healthy cognitive function. The nutrients vitamin A, vitamin C, vitamin E, zinc, manganese, selenium, lutein and CoQ10 have antioxidant properties that may reduce the risk of cell damage attributed to free radicals. Vitamins A,C and E may be important for protecting the brain from free radical damage. A higher intake of vitamin E is associated with less age-related mental and cognitive decline. Chromium, an essential nutrient for sugar metabolism, works closely with insulin to facilitate the uptake of glucose into cells. A diet high in refined sugars can increase the loss of chromium from the body. Iron is essential for oxygen transport in the blood, for energy production. Along with vitamin C and zinc, it plays an important role in maintaining a healthy immune system. Vitamin D can improve muscle strength and is important for building and maintaining healthy bone mass, and in maintaining bone density. Zinc is essential for development of bone structure. Inadequate zinc intake is associated with increased risk of fracture in middle aged men. Contraindications and cautions The recommended adult daily amount of vitamin A from all sources is 2500IU. When taken in excess of 8000 IU vitamin A can cause birth defects. If you are pregnant or considering becoming pregnant, do not take vitamin A supplements without consulting your doctor or pharmacist. Proactive Multi for +50 may interfere with certain other medications you may be taking.